Black Ranching Frontiers by Andrew Sluyter is a groundbreaking book in which the author demonstrates for the first time that Africans played significant creative roles in establishing open-range cattle ranching in the Americas. In so doing, he provides a new way of looking at and studying the history of land, labor, property, and commerce in the Atlantic world. 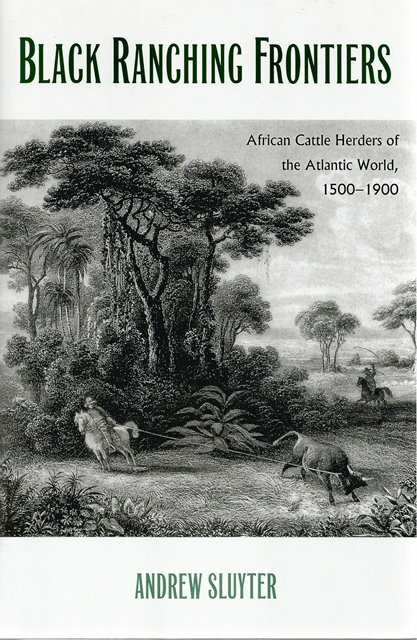 Sluyter shows that Africans' ideas and creativity helped to establish a production system so fundamental to the environmental and social relations of the American colonies that the consequences persist to the present. He examines various methods of cattle production, compares these methods to those used in Europe and the Americas, and traces the networks of actors that linked that Atlantic world. 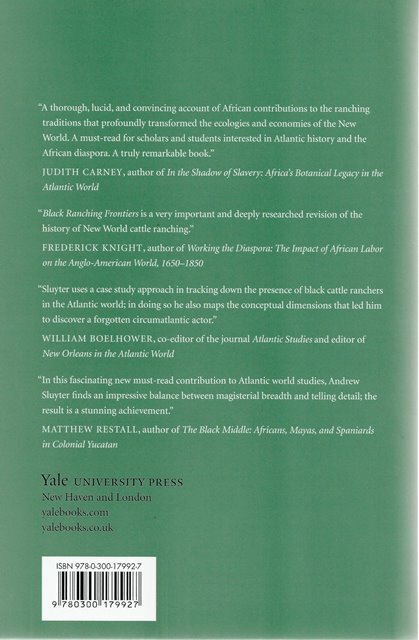 The use of archival documents, material culture items, and ecological relationships between landscape elements make this book a methodologically and substantively original contribution to Atlantic, African-American, and agricultural history.